To spark discussion, the Walker invites Twin Cities artists and critics to write overnight reviews of our performances. The ongoing Re:View series shares a diverse array of independent voices and opinions; it doesn’t reflect the views or opinions of the Walker or its curators. 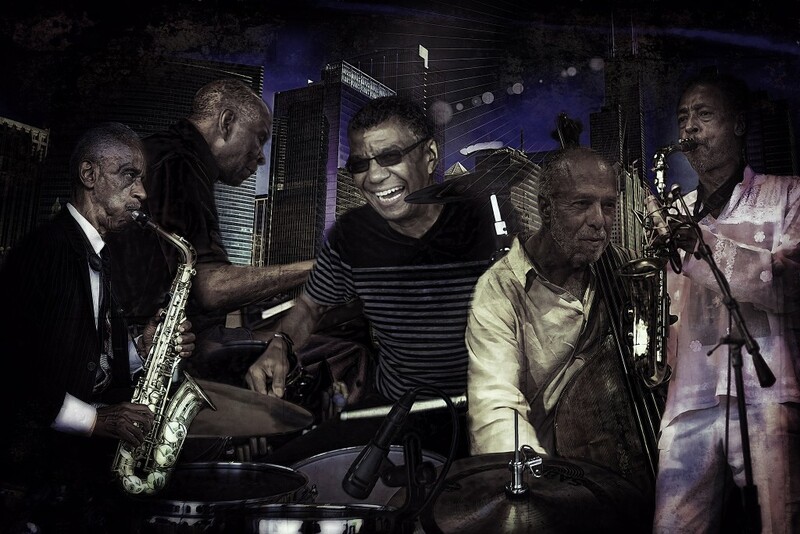 Today, photographer, writer, and radio host Bill Cottman shares his perspective on the recent performance of Jack DeJohnette’s Made in Chicago at the Walker. Agree or disagree? Feel free to share your thoughts in comments! Jack DeJohnette’s Made In Chicago with Roscoe Mitchell, Muhal Richard Abrams, Henry Threadgill, and Larry Gray appeared on the McGuire Theater stage this past Thursday night. If you were present, you heard IT. If you were absent, you will never hear IT. The creative natures of these musicians require physical presence to fully experience their work. Depending upon your exposure to them and their music, IT was terribly terrific. IT was the beginning, or IT was the continuation, or IT was the eve of another Friday the thirteenth. From my seat in the back row, I could see the heads of the full house audience. After several minutes into the first selection, a listener stood and clapped his hands in no discernible relationship to the music. Roscoe Mitchell’s horn was sounding a rivetingly rhythmic pattern, relentless as the passage of time. IT reminded me of a preacher’s comment to his standing congregation, “sit as you are able!” Words are unable to make you hear IT if you were not present. This IT, declared dead too many times to cut flowers for. After several minutes Mitchell was satisfied with IT and stopped and we applauded and hooted as modern audiences are prone to do. DeJohnette lead us into the next experience. We followed, listening for familiar hooks to hang our listening baggage upon. My foot was raised, waiting for the one. Whenever it came, I had forgotten I had been waiting. I think Threadgill’s horn was the sound introducing the next movement. My listening mate asked me something about the title of IT and I had nothing to say. Call IT what you will and wait to see if IT passes this way again. In the meantime the motion continued forward. What might you do as a result of what you’ve seen and felt? On Thursday evening I felt the need for my own questions. I was in the midst of something that was demanding more than my intellect was equipped to analyze. I needed to yield to the part of my brain best equipped to deal with IT. An engineer could not say how IT worked. An artist needed to express why IT was working. So to the readers looking for words to hear IT with, you will not find them here. My words are a ramble rather than a review. Thursday’s music came from the upper room of a full house. Gaining entry required effort. Effort of the intellect, filled with knowledge of the players and their stories. Or, effort of the spirit, filled with open space available for unexpected outcomes. From the back row of a full house you can see the silhouettes of listeners. You can see movements microseconds after hearing the sounds causing them. You can see the restless bolt at the first opportunity they perceived as freedom to get out. You can see those who stay; the great majority, moving in ways suggesting individualized acceptances and realizations. This was not music for the masses. IT was selective, but not exclusive… unless you made IT so. Remember the failed verbal communication between Threadgill and Mitchell? Both were sitting out a solo when Threadgill looked to his right and captured Mitchell’s attention and moved his lips to send a message. Mitchell didn’t get it, so Threadgill repeated. Mitchell didn’t get it, so for a third time Threadgill repeated. He still didn’t get it. Threadgill stood and moved toward Mitchell and reached beneath his chair to lift an oversized sheet of white paper to the music stand in front of them. Both men winked, nodded, and smiled! Surely, from this point forward, IT sounded better/different/worse?! Larry Gray never touched his cello; did he? With ears wide open, I nodded several times. Gray stood behind his double bass and raised his right foot numerous times. But it was a raising like live yeast does in correctly baked bread. IT never fell! IT contained the capacity to lift and transport one above and beyond the inequities of daily life. The ancestors said they could fly! See how he leads from behind. How does all the credit get back there? Isn’t all the credit up front? Perhaps there is sufficient credit to cover everyone. What if credit is not the objective? What if everyone knows the destination and the journey becomes the objective? Technology enabled bootleggers or permission granted powers that be may have recorded IT. At some point in the not too distant future, we may be cursed/blessed with an opportunity to re-view, re-visit and re-hear something called IT, but that will not be IT! 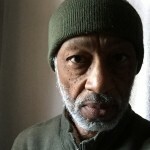 Bill Cottman is a photographer, writer, and host of Mostly Jazz on Saturday mornings at 9am on KFAI Community Radio, 90.3 FM Minneapolis and 106.7 FM St Paul. Live stream and archived programs at www.KFAI.org/mostlyjazz.